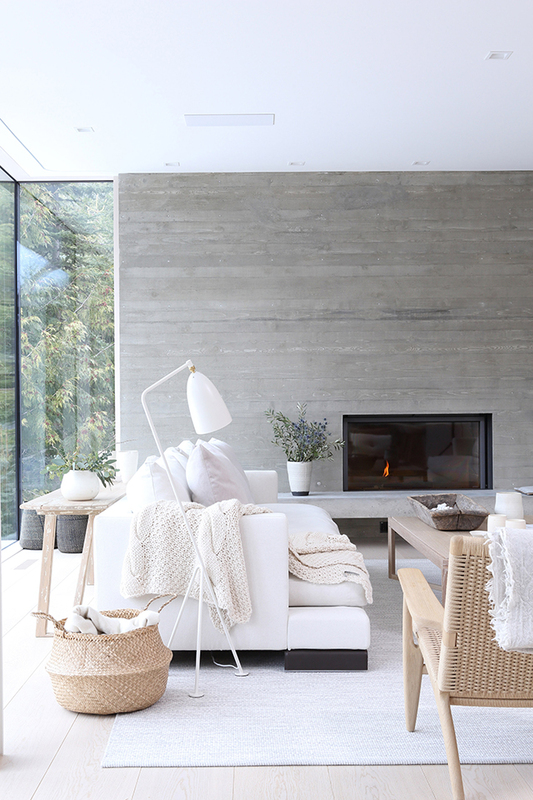 We've been experiencing a cold snap here in our part of the world and this beautiful mountainside residence has all the winter vibes. Perched on a hilltop in British Columbia, the property, designed by Burgers Architecture, is surrounded by dense snow-covered trees with views of the Blackcomb and Whistler peaks. 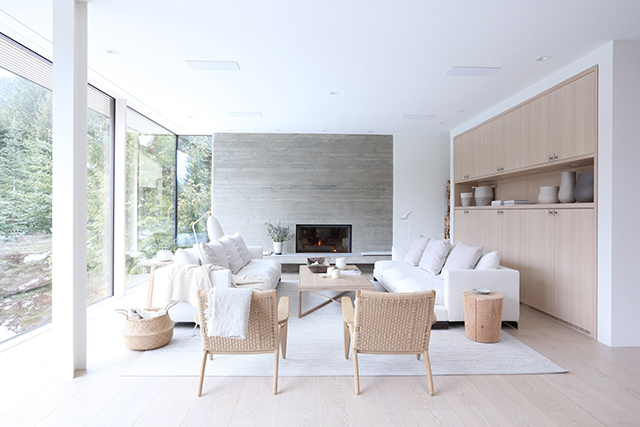 With high ceilings and an airy open-plan layout, the serene interior features organic, natural elements and finishes to ensure a warm, cosy feel. 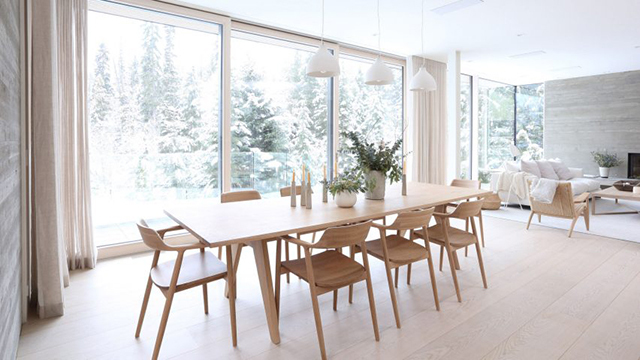 With a soft, Scandinavian aesthetic, the white and light wood was chosen by Vancouver-based interior designer Sophie Burke to draw attention to the lush natural landscape. 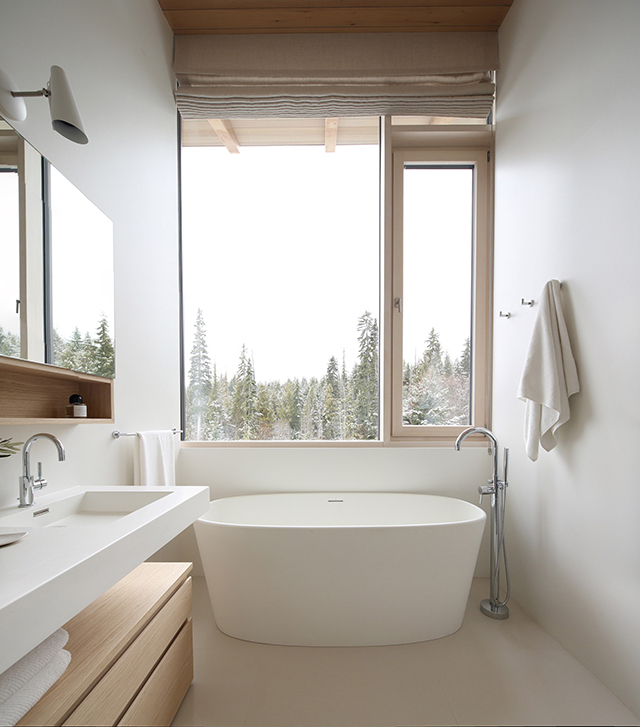 An absolute dream bedroom and ensuite, I love the full-height windows and free-standing bath. 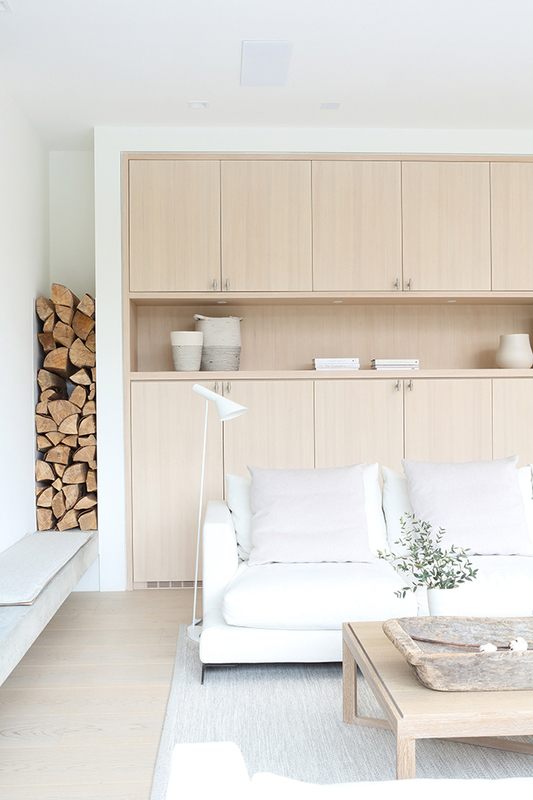 I also spy plenty of furniture and lighting throughout the home from Danish design brands including Carl Hansen & Søn, Gubi and Muuto. 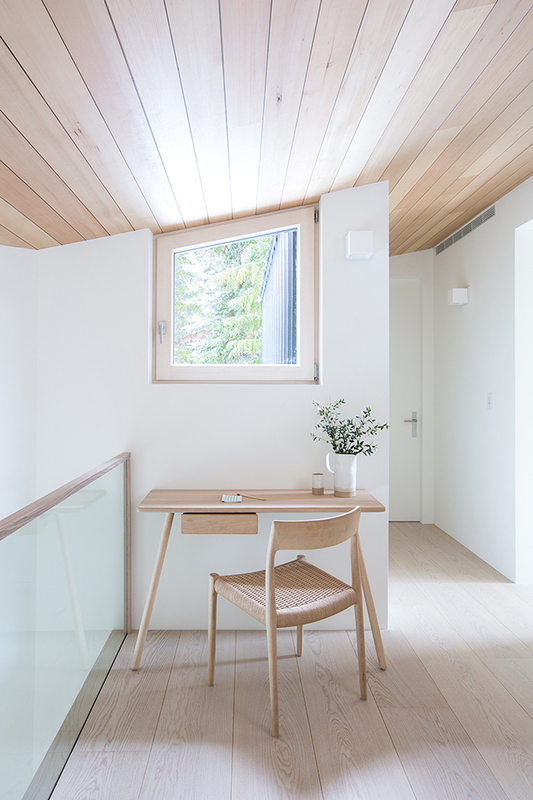 An interesting fact about this home is that it was created from prefabricated volumes to ensure quick assembly in between the snow seasons. In an environment where the huge snowfall limits construction duration to six months of the year, this allowed for complete control and total precision of the build. Using two trailers, the roof, walls and floors were shipped to the site fully formed and amazingly, the house was assembled in just one week. For more information on this project, the team that brought it to life, and to see the full house tour, take a look here and here.